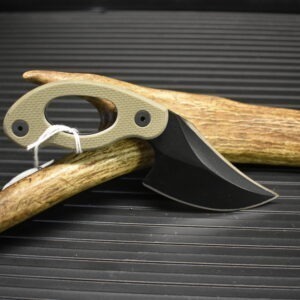 Below is the info from Grayman Knives Website. Grayman is owned by Mike and Sue in California. Mike has a very unique past and skill set. 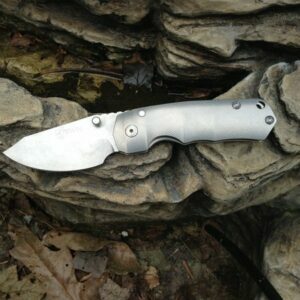 There have been many articles written about Grayman knives. We are very proud to be a dealer for them. They make excellent and unique products. 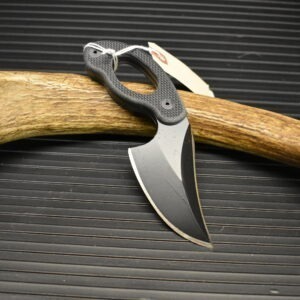 GRAYMAN knives are not designed for collectors, they are designed to be used. They might not be pretty, but they won’t let you down. 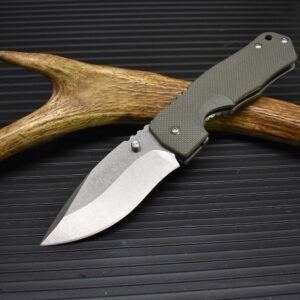 GRAYMAN fixed blades are made from tough 1095 High Carbon 1/4″ thick steel, and are designed for maximum strength and utility. Each knife is hand ground and 100% made in the United States, single bevel coated with black GunKote for corrosion resistance. Slight variations occur, making each knife unique. 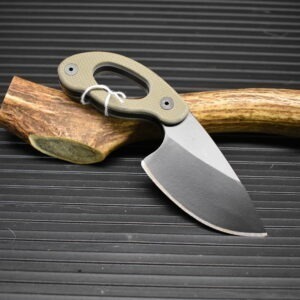 Handles are made of tough micarta or G10, field tested and proven to last. 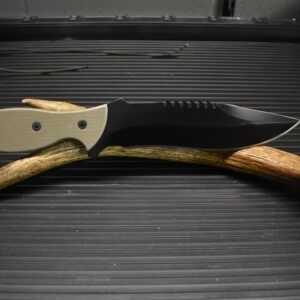 Whether stabbing, slashing, chopping or prying, GRAYMAN knives are rugged and dependable. Company Info: Grayman Knives is a small company, Sue does our website, social media, and keeps us running, while I do the knife grinding and designing. For our first four years, we sold to military, law enforcement, and military contractors only. After I began to slow down on other projects and travel less, I found I had more time to devote to knife making, so we made our knife sales open to everyone, with military getting priority. I spent a considerable amount of time overseas, particularly in Africa, in primitive conditions and began to form opinions on what I liked in knives, particularly large, all around tool and survival blades. 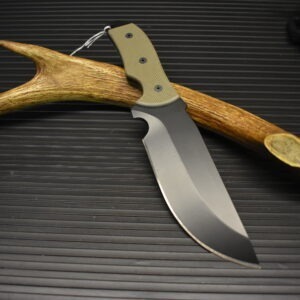 This inspired me to start making prototypes, and Grayman Knives was born.